Now YOU Can Survive A Zombie Apocalypse With These Hilarious New Ladybird Books For Grown-Ups! The cheeky adult versions of the classic children's books always have us giggling...but the 2016 releases featuring grandparents and sick days are the best yet! Who doesn't need a guide to surviving the zombie apocalypse on their book shelf!? Ladybird has done it again with these hilariously tongue-in-cheek books for adults, which take the format of the traditional children's books but twisted for grown-up audiences. The concept was first launched in 2015 and it's safe to say the titles flew off the shelves. Some of our favourites included 'The Hipster', 'The Wife' and 'The Husband', which made for perfect stocking fillers! Read more: This Woman Is Going To Be The Face Of The New Ten Pound Note! Now eight more have been released, called 'The Ladybird Book of The People Next Door', 'The Zombie Apocalypse', 'The Meeting', 'The Sickie' and 'How It Works: The Cat, The Dog and The Grandparent'. There's also 'The Ladybird Book of Red Tape', which takes the mickey out of those awful automated phone lines! Don't be surprised if you find one under the tree this year! The books have been dreamt up by authors Jason Hazeley and Joel Morris, who've also worked with big names in comedy such as Charlie Brooker and Mitchell and Webb. 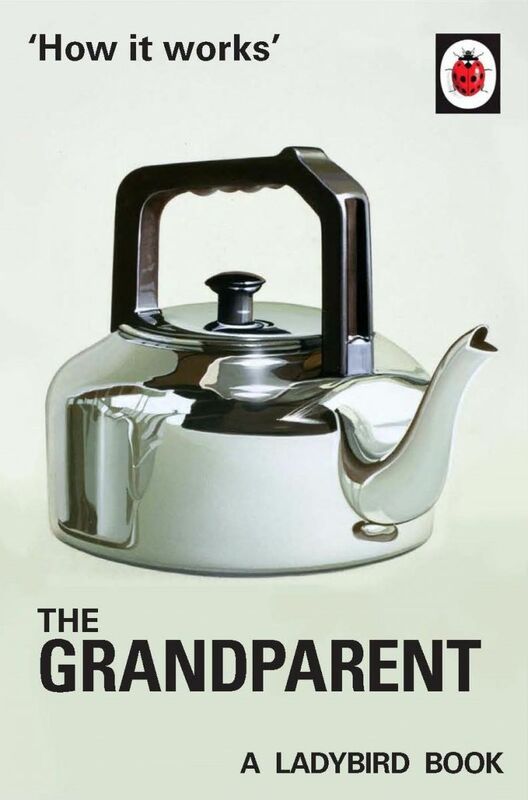 We hate picking favourites, but 'The Grandparent' is absolutely side splitting! One line reads: "Grandparents are very versatile. They are baby-sitters, weather forecasters, mother's helpers, sweet collectors, child-minders, knitwear suppliers, au pairs, curators of G-Plan furniture and providers of day-care for the under twelves. Retirement is an exhausting job." Read more: Men Have The Munchies WAY More Than Women And Here's The Proof!